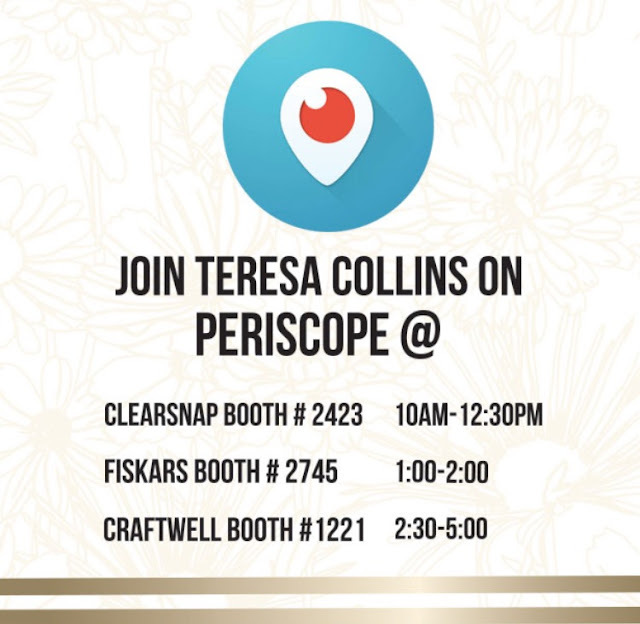 TERESA COLLINS : CHA 2016 Opening day + NEW Announcement! The first day of CHA is always an exciting one and today is no exception! 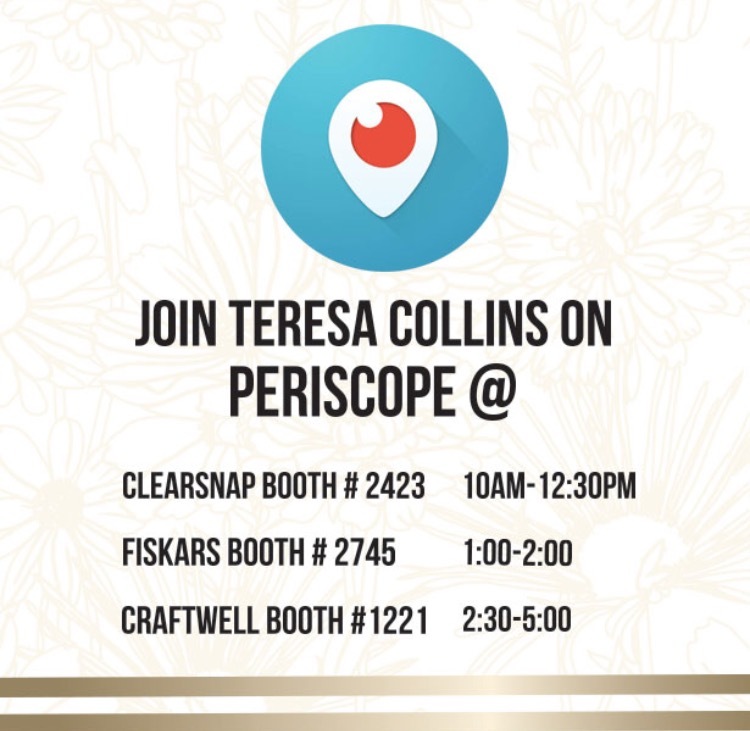 Don't forget to follow me on Periscope at @teresacollins1 at these times to see me LIVE in my partner's booths! I can't wait to show you what I've designed for this year! Also, I now have my Teresa Collins designs in cut file form available in the Silhouette Shop to purchase! I hope you'll check them out and share your creations with me! Yesterday, I debuted my new punches with Fiskars! I love them and am so excited to share with you! I've designed monogram punches, as well as state shapes, and an Eiffel Tower. Looking forward to a fun day chatting with new and old friends! I feel so blessed to be a part of the crafting community and I hope you like what you see today! I downloaded the Periscope app, just to watch your feed from CHA. What fun to see everything going on there! 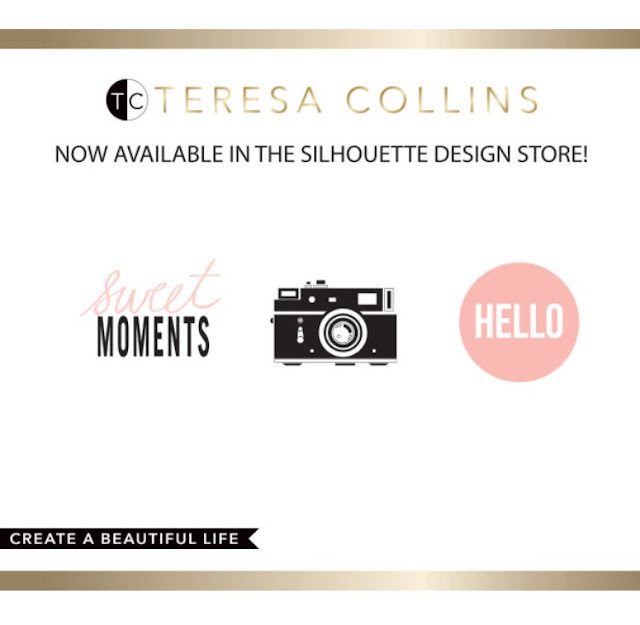 Love seeing all the new products! Everybody LOVED your larger gold book for the make-and-take. Your state punches are really cute. Will you be adding more states over time? Gotta get that Florida punch - NOW!